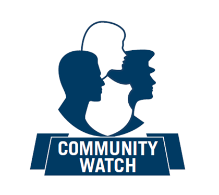 Why Does Community Watch Work? If you are interested in helping with Community Watch, please leave your name, phone number &/e-mail address and we’ll get back to you soon. To be assertive of their right to enjoy their leisure activities in a safe and secure environment which is free from crime. Be a good neighbour by getting involved and by being aware. Know general patterns of neighbours particularly in the immediate area. Report suspicious events as they are happening first to police. Dial 911 and then to the Committee Chair.